Ever had that you're cleaning up and find something you didn't realize you still had? The other day I was going through some boxes with childhood stuff and found a small box, and I had no idea what was in it. Lifting up the lid just a tiny bit gave me the answer, yuk! 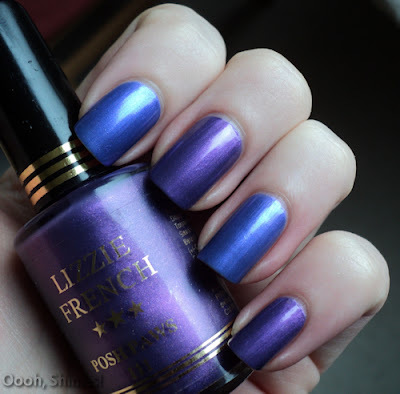 Such a strong chemical smell, but it was clearly polish! I picked 2 colors that I'd buy now too if I could and managed to open the bottles with the help of a kitchen scissors with a bottle opener or some in it, and oh, the horror... Stinky, lumpy and totally unusable. I'm sure the following pictures say enough. This bottle looks full, but it's not. 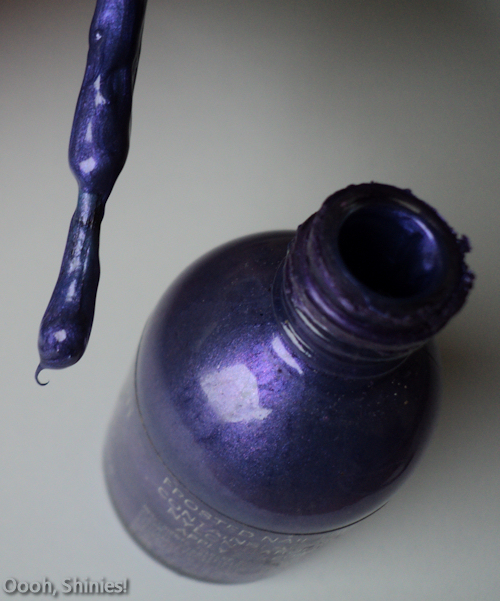 The polish was just so thick that it sticked to the walls of the bottle even when I tried to shake it. Eek! Yeah, no way I'll be smearing that on my nails! But I have to say though, I guess the polishes could've been in much worse condition, being in a closed box without any light probably helped. 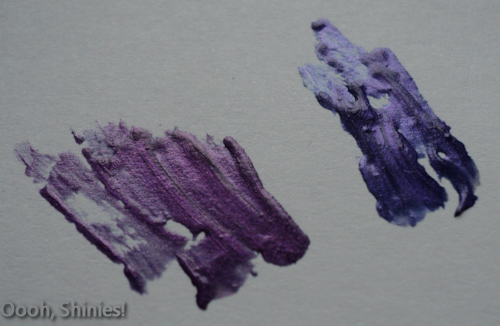 So I decided to do a little test with polish thinner, to see what it turns into then. 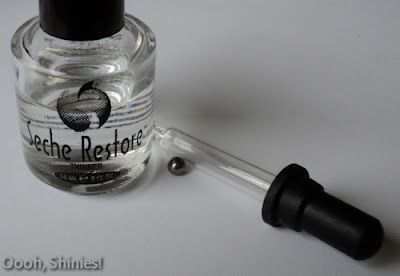 I used Seche Restore, but more brands have thinner and I think it's all pretty much the same. I also added some metal balls from an old polish bottle. I have to buy those sometime cause I just had 2 left, and I think it would've helped to have more than 1 in each bottle. The application was surprisingly decent, and the drying time as well. 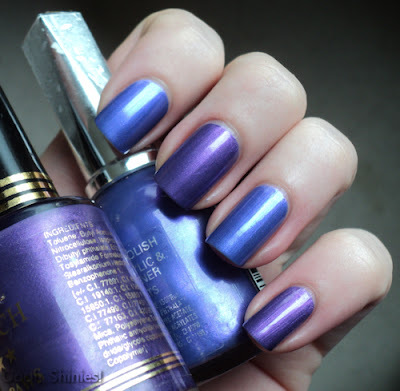 I used 3 coats of each, no top coat. 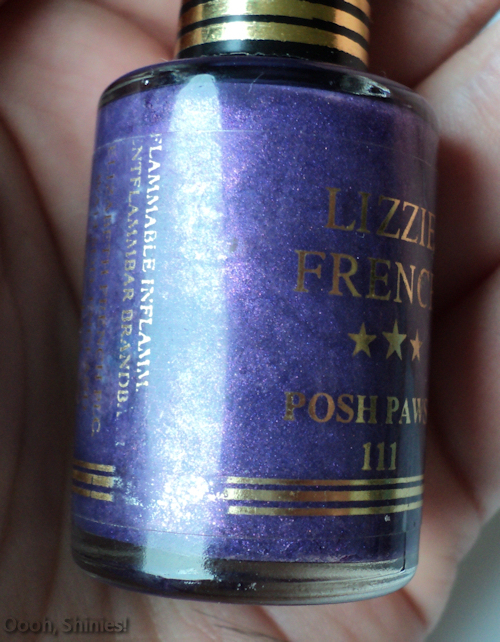 The Lizzie polish could use a little bit more thinner just to make it nicer to apply, and the Collection 2000 polish could use more, well, polish :P I liked that color back then as well it seems, the bottle is half empty. 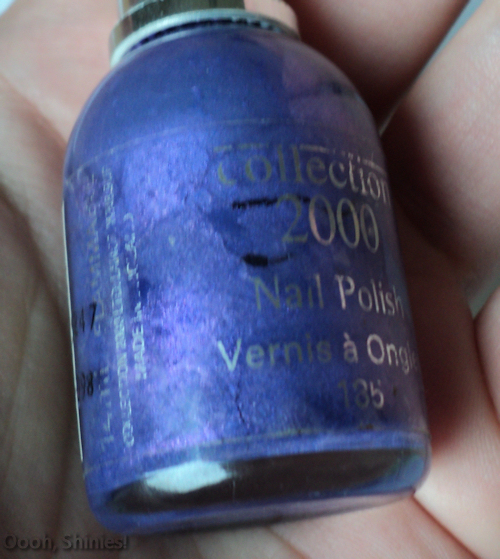 As you can see the Collection 2000 bottle looks way better here, just the bottom is still a bit nasty. 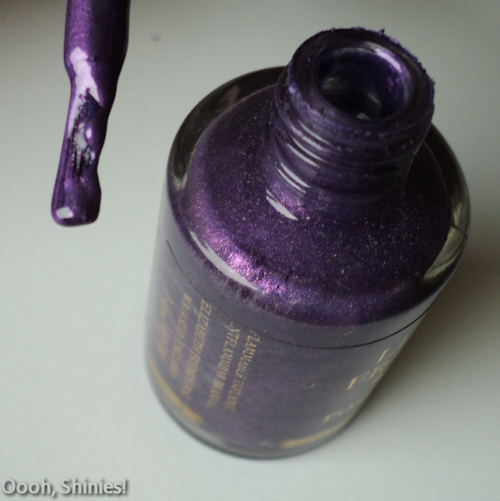 The polish is a bit more purple irl. So, there we have it, 2 polishes brought back to life. What can I say, I <3 thinner!